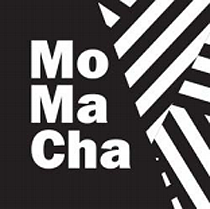 The Museum of Modern Art—universally known as MoMA—has filed a lawsuit against MoMaCha, a Lower East Side art gallery and café with a curiously similar name to the museum’s famous moniker. The café has no relationship to the museum, however, and MoMA’s lawsuit alleges that MoMaCha is “blatantly attempting to take advantage” of the museum “to promote their newly launched art gallery and café business[. ]” This lawsuit appears to be the first time that MoMA has sought formal legal redress for the violation of its trademark rights since it first began referring to itself as “MOMA” in 1967. And this action is part of an increasing trend of lawsuits against retailers accused of misappropriating intellectual property. Enter MoMaCha. The art gallery and café opened to the public earlier this month and, according to online sources, the venue “plans to present contemporary art installations.” Equally important, MoMaCha IP LLC—one of the two entities that MoMA has sued—has filed applications with the USPTO to register MOMA and MOMACHA trademarks of its own. The museum claims that it sent MoMaCha a letter demanding that the café cease using its MOMA and MOMACHA marks and abandon its trademark applications, but MoMaCha is said to have ignored these requests. MoMA’s complaint alleges six causes of action against the MoMaCha entities: three separate violations of the Lanham Act (trademark infringement, false designation of origin, and trademark dilution), trademark infringement under New York common law, unfair competition, and a claim under 15 U.S.C. § 1119 requesting that the Court refuse to allow MoMaCha’s pending applications for its own MOMA and MOMACHA marks to proceed further. To date, MoMaCha has not yet entered an appearance in the lawsuit, but we will be monitoring this case as it develops further.